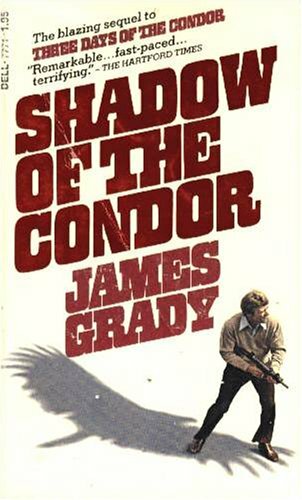 Shadow of the Condor is the 1975 sequel to James Grady’s Six Days of the Condor. It’s not an easy book to find and my worn edition cost me ten dollars when I purchased it online. Released at the height of seventies paranoia, the book should have done well on the market, but I can’t seem to find out if it was ever reprinted. My guess is the readers who bought this book wanted another Watergate tale of The Man doing everything to stay in power while the great and good truthseekers struggle to reveal what the Pentagon is all about. But the book is more in line with a John Lecarre spy novel and involves the FBI and CIA’s pursuit of a Russian agent on the move. It’s quite good and I highly recommend to anyone who can find a copy. This book is a prime candidate for the electronic book market reprint. The novel begins with a botched counter-intelligence operation as an agent for the US Air Force Intelligence is shot while pounding on the door to a missile silo in northern Montana. How did an intelligence agent who was supposed to be stationed in Europe end up back in the US and who shot him? It’s up to the “Old Man” from the previous novel to find out. His choice for the job: Ronald Malcolm, AKA “Condor” from the same book. Malcolm is cooling as in a university setting after he survived the events in Six Days of the Condor. The old man makes him an offer he can’t refuse and Malcolm is back in action. If there is an overall theme to this book it’s about the tendency of small players to get caught up in the battle of nations. The USAF man whacked at the beginning of the book is a little man with ambition who thinks he has stumbled onto a major communist plot to bring Godless Anarchy to America. By the end of the book you learn he may have been more right than wrong, but it didn’t help him in the end. The Russian agent everyone is trying to catch is doing his best for the service, Mother Russia, and the triumph of socialism. And, of course, he’s played for a fool. I don’t want to go too deeply into this plot because it will ruin it for the person trying to read the novel. Malcolm is still recovering from the events of the first book. Experience had taught him not to trust anyone. To an extent, he’s right. Everyone he tried to get close to tends to end up dead. At the beginning of the book, he is thrown in with some Red Chinese agents who are trying to catch the Russian operative too. Everyone has a reason to do what they do in this book, even if it doesn’t come clear till the end. The Russian agent, Nurich, becomes the star of the book. He’s a consummate professional who manages to give the CIA and FBI the slip at every turn. There is a beautiful scene where he infuriates his FBI tail by jumping off a bus and grabbing his contact vehicle at the last minute. He’s also ruthless. Nurich kidnaps a woman with a broken-down car and spends several days terrorizing her so can throw the American agents off his trail. My favorite character is the sleeper spy the Russian makes contact with toward the middle of the book. The man is a true believer in the glory of Stalin who wants to do what he can to help The Revolution. The Russians know he’s a loose cannon and don’t trust him with much information. He’s the complete opposite of the Peter Lorre communist who is one step ahead of his counterparts. When he does make contact with the Russian agent, Nurich can’t believe Moscow Central is using this idiot. This is an excellent spy novel and I am disappointed more people do not know about it. 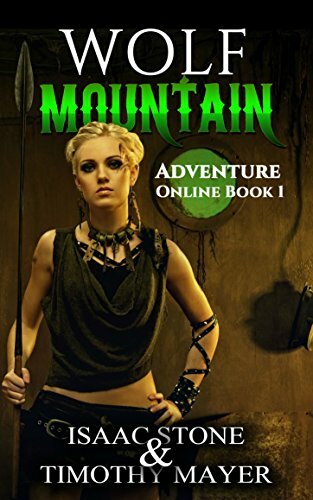 Grady has another book in the Condor series which was published last year and I’m looking forward to reading it.